I’m not collecting Batman Volume 3 issues but I bought issue 36 because I absolutely loved the story. I’ve had my problems with some of Tom King’s interpretation of Batman but this issue was just phenomenal. It reminded me of the Superman/Batman comic series before the New 52 reboot. Here we have Batman and Superman talking about each other and listing all the qualities they admire in one another. There’s no unnecessary drama or plot, it’s just a clean cut narration by two men to their respective partners – Lois Lane and Catwoman. 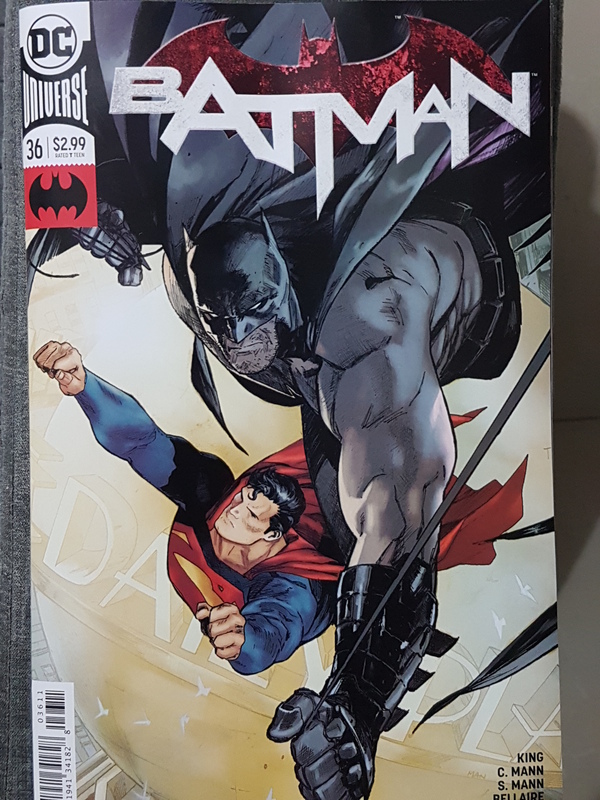 Another amazing thing about it is you don’t need to be up to date with the current Batman storyline; it can be read as a stand alone for those who simply wants to read a quick and poignant Batman/Superman story.